UNCOOL: The Voice | Everything is cool. As if the fickle Take Me Out lights weren’t demeaning enough, now BBC’s The Voice aka. 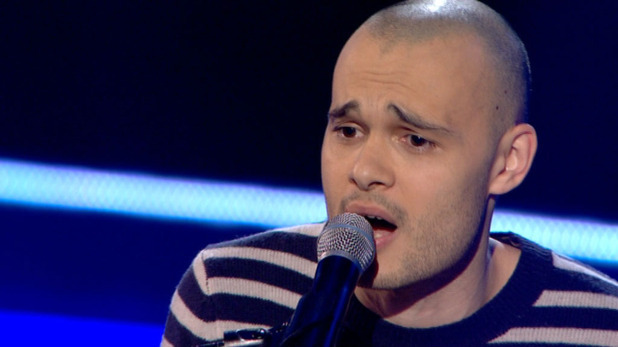 The Jessie J Show brings human suffering to a whole new level. How, er, inclusive. 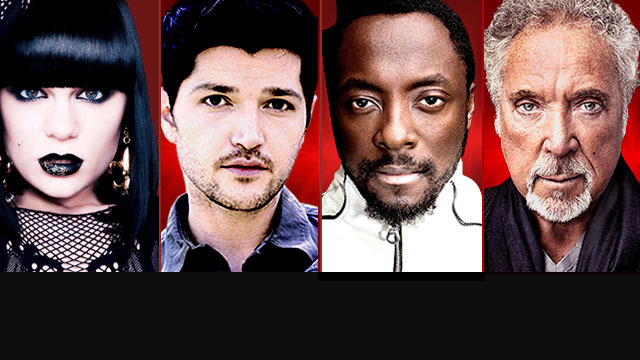 And the judges, Jessie J, Will.i.Am, Tom Jones and Danny O’ Donoghue (yeah I know), are so non- judgmental, they don’t even look at the unsightly hopefuls in case what they see influences their decision (or makes them sick). They call it ‘blind-auditioning’. You know – because seeing contestants and then deciding is so passé. In a tacky attempt to make these repetitive TV talent shows more philanthropic, hopefuls must now perform to the judges’ backs, giving them the unprecedented opportunity to surpass, nay, shine in spite of the various crippling afflictions from which they suffer. Seriously, they may as well wear runt masks. If just one of the four judges swivels round during the audition, the poor little urchin could be saved from a life of perpetual misery. Surprise Surprise + Jim’ll Fix It + The X Factor = The Voice. Hows about it, Mr and Mrs Rock Bottom? Now even YOU have the chance to be a pop star. Only you don’t. Because in the end it’s just like The X Factor and the most marketable person will win. They say it’s different because it’s all about The Voice, see? THE VOICE THE VOICE THE VOICE. Not like The X Factor which is all about Simon Cowell. This aint no superficial talent contest that encourages normal people to relive the tragedies of their lives over and over again as currency to a showbiz land where tragedy doesn’t exist. The people on this show don’t have to bear their quivering souls, share their pain, misery and say things like: ‘since my mum died…’ and ‘Raindrops are my only friends’. What did the invite to audition say? ‘Hello. We have it on good authority that you know a bit about human suffering AND have a mediocre singing voice which could, but probably won’t, help you win a TV singing contest. Come on! You’d never ordinarily audition for a TV talent show – not with confidence as low as yours. You could meet Jessie J!! But she probably won’t even LOOK AT YOU. And, hey, if it doesn’t go to plan, at least we can all have a laugh at Sean Conlon!’. That’s right. Sean from Five who in his VT said going on The Voice meant ‘EVERYTHING’ to him and then failed to turn a single judge’s chair. What made it worse was that he sung Trouble, by Coldplay and reaching the end, had cry in his mouth. Even worse was that he played this all out on a keyboard. Think Ross from Friends but Sean from Five. And even worse than that was Jessie J telling him that the first band she ever saw live was Five. AwwwwwwwwwaaaaaaaghhhhhhHHHHH!!!! That is not what I want to see on a Saturday night! Forced banter between the judges, (though bless will.i.am for trying) and Jessie J’s monopolisation of the world makes this show in-digestable and echoes too much of what Charlie Brooker’s Black Mirror 2 was about. No likey. Sean – if you’re reading this. I always fancied you more than Scott. *If you do want to subject your heart to a bit of unnecessary pain, The Voice is on at 7pm every Saturday from now until the end of time.